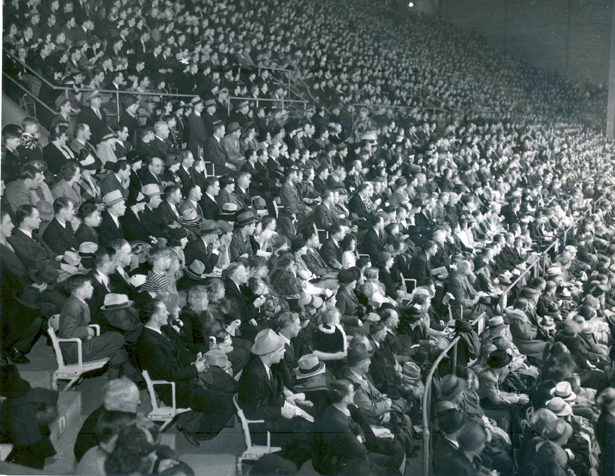 The Arena at 3717 Euclid Avenue was built in 1937 by sports promoter Albert C. Stuphin. 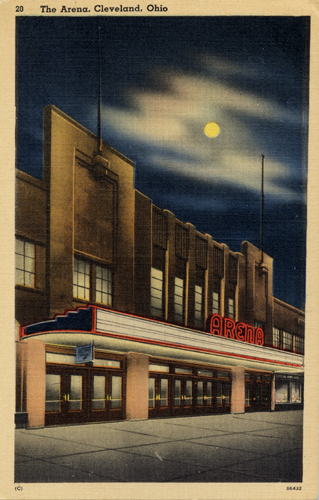 Originally designed to be the home ice for Stuphin's Cleveland Barons hockey team (which until that point had played further up Euclid Avenue at the Elysium), the Arena also hosted many other sporting events throughout its history, including boxing, basketball, wrestling, and racing. 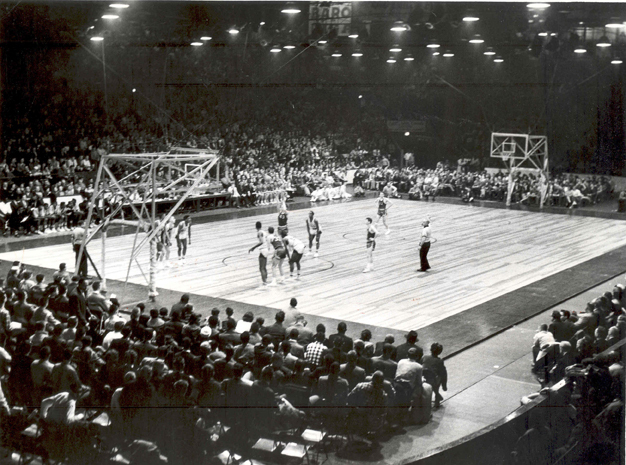 The Arena served as the original home of the NBA's Cleveland Cavaliers in the early 1970s before the team moved to the Richfield Coliseum in Summit County. 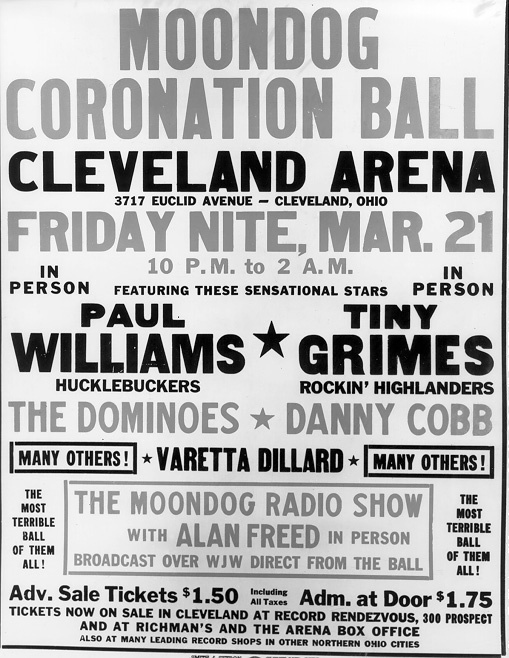 The Cleveland Arena was also the site of one of the first rock and roll concerts ever held: the Moondog Coronation Ball of 1952. 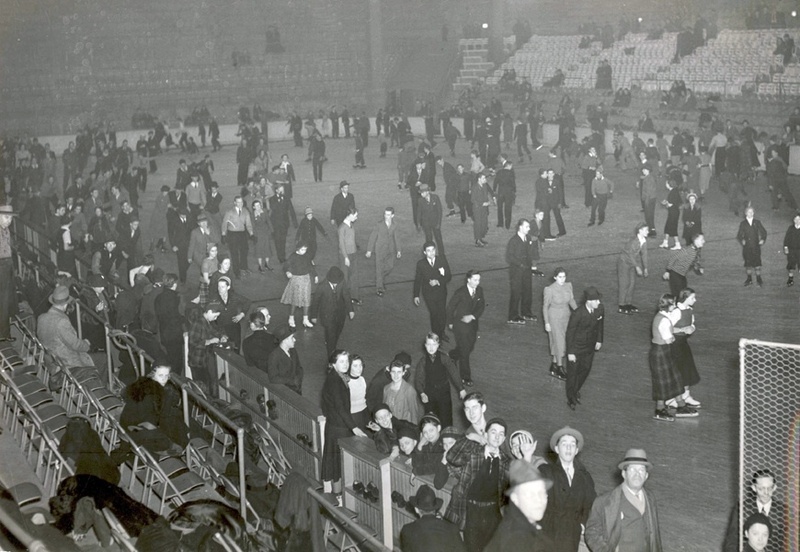 Cleveland DJ Alan Freed organized the concert, which drew crowds of teenagers so large and unruly that the fire department canceled the show before most of the acts could play. 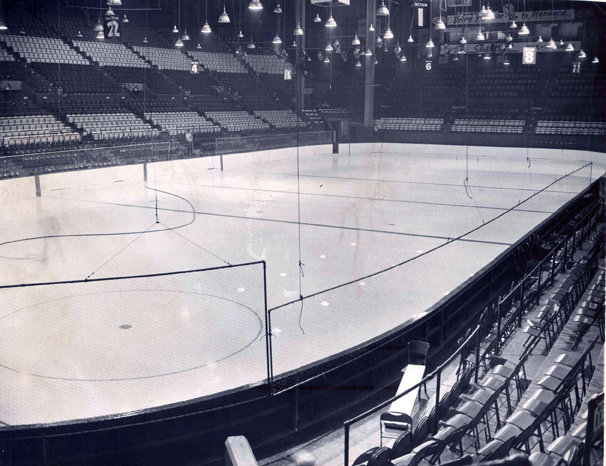 By the 1960s, the arena's facilities were becoming outdated, and in 1974, with the Cavaliers and the Barons having moved to the Coliseum, the Arena stopped holding large events. 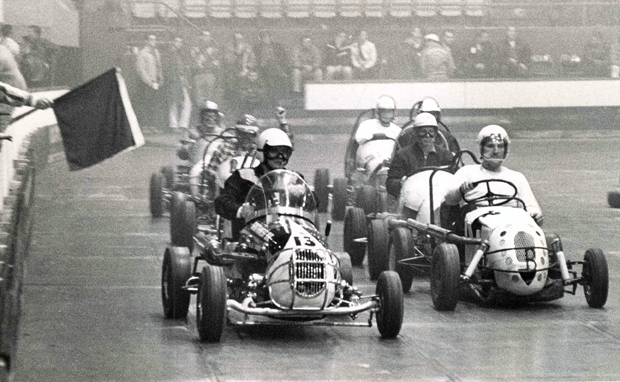 The building was demolished in 1977. 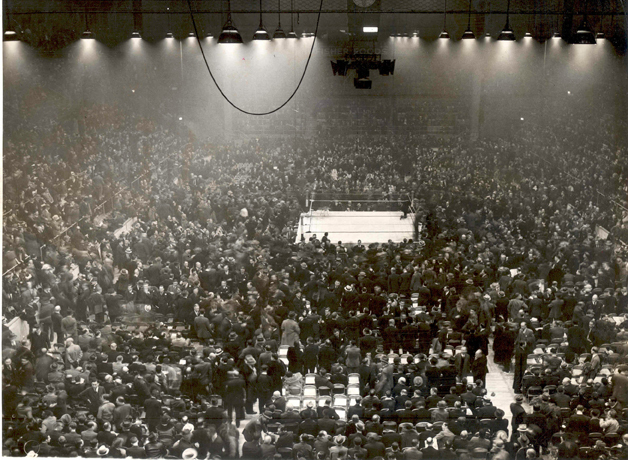 “The Arena,” Cleveland Historical, accessed April 19, 2019, https://clevelandhistorical.org/items/show/85. Published on Nov 16, 2010. 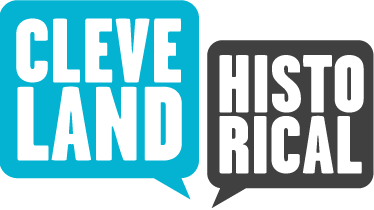 Last updated on Apr 18, 2017.